God is in the forecast today! Use Weather Bible wherever you go to stay prepared for the elements while staying connected with the Word. 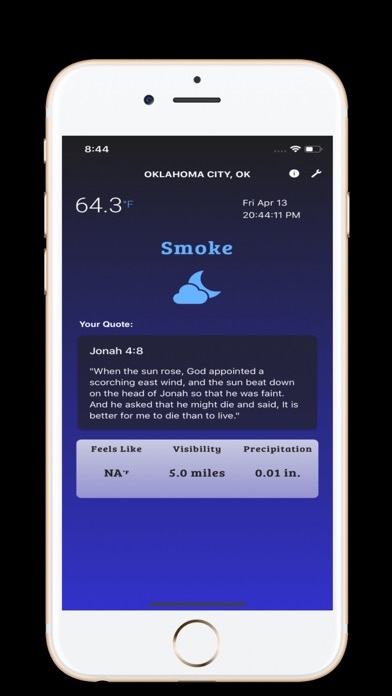 Weather Bible was designed to provide a simple location-based weather interface that combines your current local weather with relevant, weather-based bible verses.